The farm was established in 1890 and was originally home to a herd of jersey dairy cows. 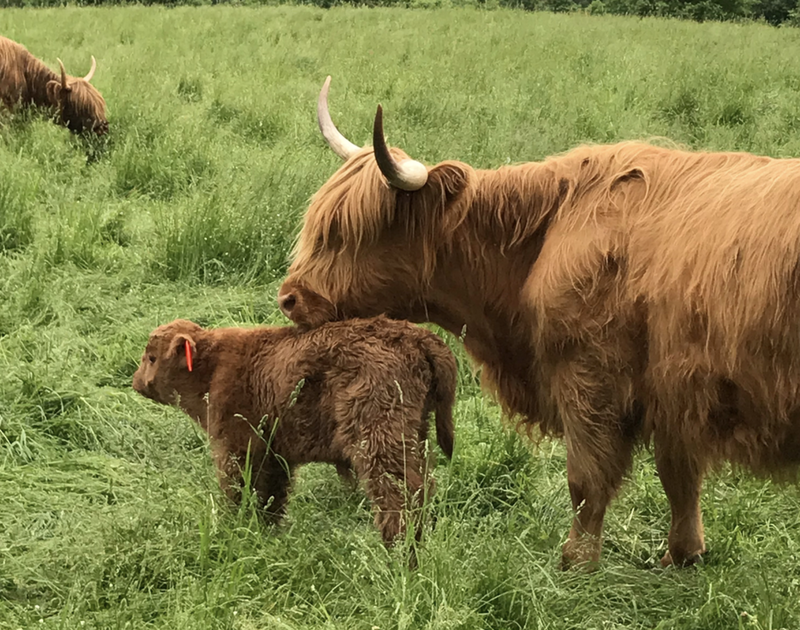 TODAY, BURN AYR FARM IS OPERATED BY TWO GENERATIONS OF THE SULLIVAN FAMILY. Kevin and Kathy (Thomson) Sullivan returned to the family farm in the mid-eighties. Throughout the early 90s, Burn Ayr Farm produced organic produce which enjoyed a high-profile and high-value market in New York City. By the time their sons, Patrick and Ryan, had picked their last squash blossom and headed off to college, they knew that it was time to transition to a less intensive operation. 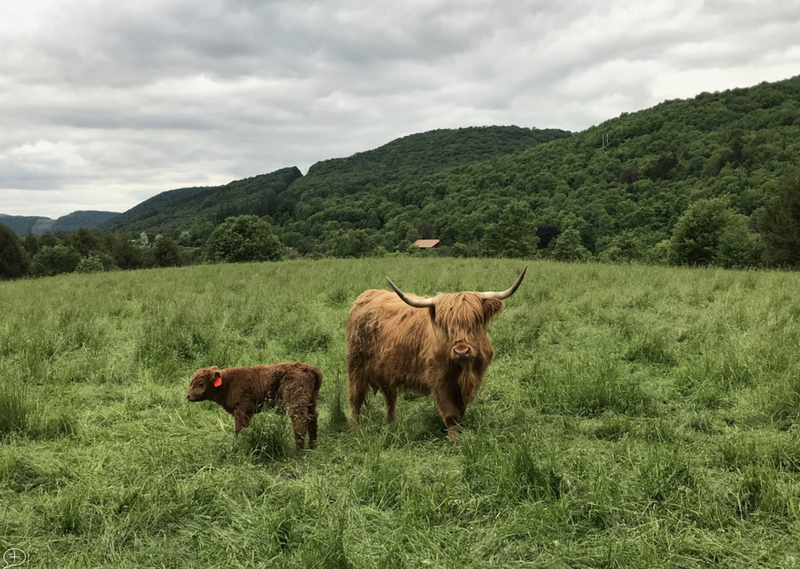 In the mid-2000s, the family began raising a small herd of 100% grassfed Highland beef cattle. 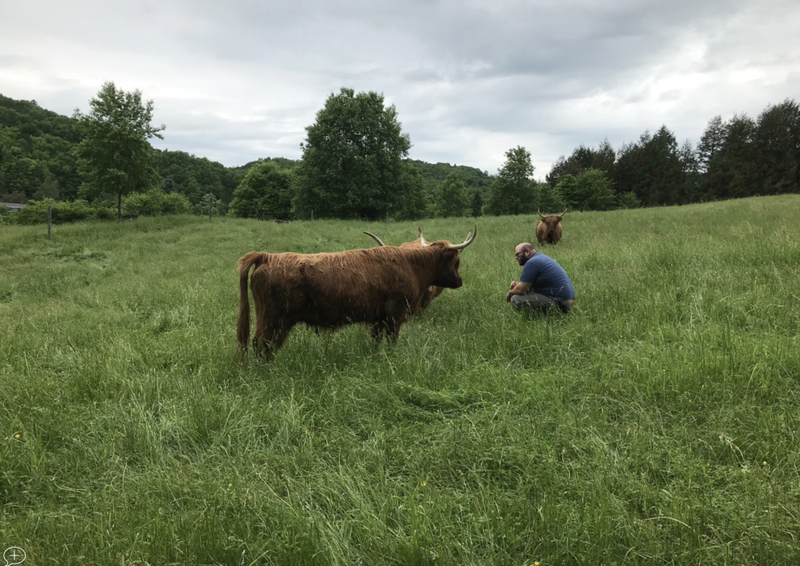 Through the warm summer months, when grasses are plenty, they intensively graze on pastures high on the hillsides above the farm. As the temperatures drop, the herd returns to the farm and is fed farm-harvested hay. A small number of heritage hogs are also raised each year and processed for sale at the farm’s store. In 2000, the seasonal farm store was built, allowing the Sullivans to begin selling their beef, pork and local produce directly to their neighbors. Try all-natural frankfurters and kielbasa, as well as a variety of other cuts of beef and pork. 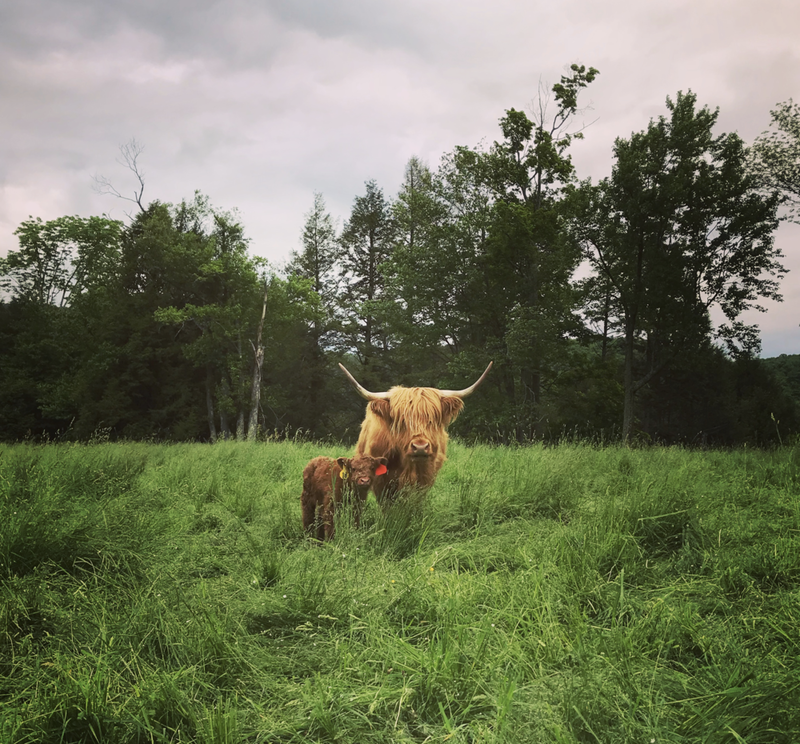 Seasonal vegetables, dairy products, honey, maple and eggs, gifts and crafts, all sourced from family farms, artisans and small businesses in Delaware, Schoharie, Otsego and Ulster Counties, fill the store for one-stop shopping. THE FARM STORE IS OPEN JULY TO OCTOBER. MEAT ORDERS ARE AVAILABLE YEAR ROUND BY APPOINTMENT. Call 607-746-7287 to schedule a visit. The Sullivans look forward to welcoming you to their bed and breakfast, the Inn at Toll Gate Creek. 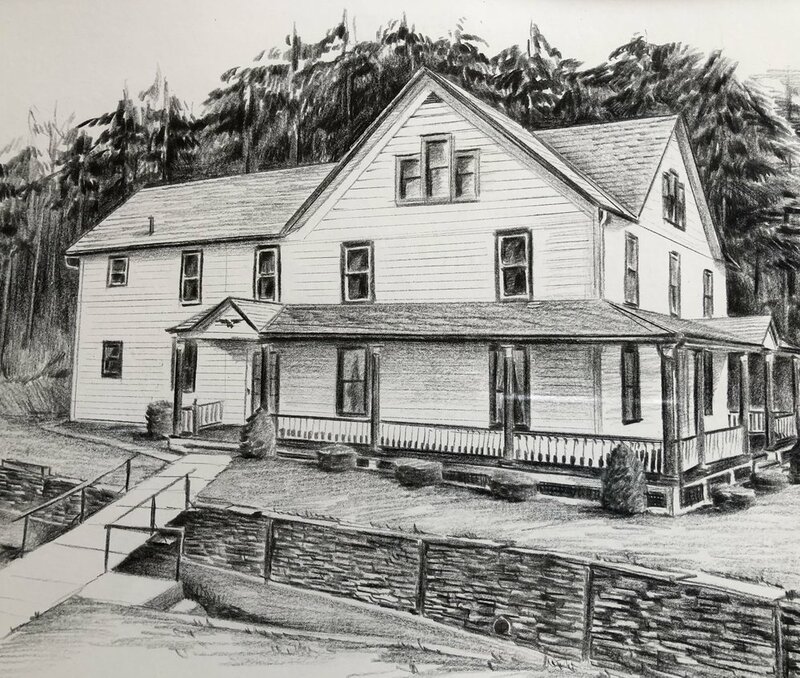 In the family since 1890, the Inn was once the original dairy’s farm house. Today, guests enjoy a selection of three comfortable rooms and shared kitchen, dining and living spaces. Whether your are looking for a getaway, or visiting on business, you’ll find privacy and relaxation here. Tour ours and other local farms with Table to Farm Tours!